Every single morning Ernestine Shepherd wakes up at 2.30am, embarks upon a 10-mile walk and then heads to the gym at 7.30am where she continues to work out and lead exercise classes until 11.30am. Ernestine is 80 years old. 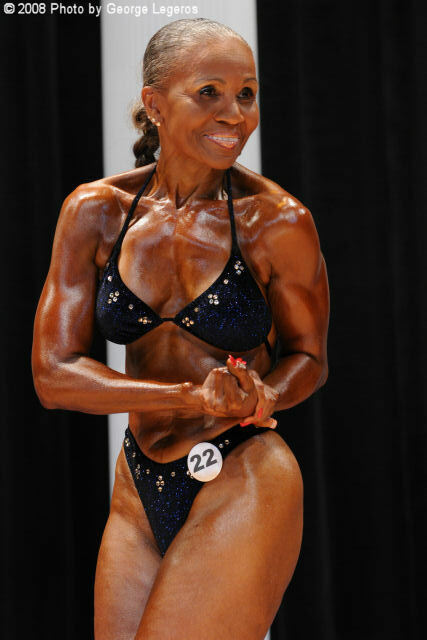 The Baltimore native was crowned the world’s oldest competitive female bodybuilder in 2011 by the Guinness book of world records. She has washboard abs, impressive biceps and lives on three to four hours sleep ever night. Spurred into fitness with her sister Velvet at the age of 56, she previously had never done any exercise having been exempt from school physical education lessons as a child because of an injury she sustained in a car accident. The Independent spoke to a snowed-in Ernie on the east coast of the US on the phone which finally connected after the theme tune from Rocky blared down the line for a minute or so. “When you call my phone, you hear Sylvester Stallone’s music because I was inspired by his movie… and how he had to get his life back together and how he drank the egg whites and I drink egg whites now because of Rocky,” she explains.